to create unique bicycles leaving absolutely nothing to chance. 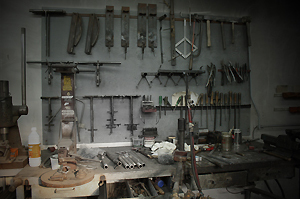 Every GUEPARD bike is made to measure in a traditional workshop in Belgium. The GUEPARD workshops has been visited by plenty of famous names already, including Gerrie Knetemann, Hennie Kuiper, Peeters Ludo Janssen, Jan and Nico Emonds and Ernesto Colnago. Every new GUEPARD is worked on with incredible attention to detail by Philippe Van Eekhout, the vital link between the customer and the workshop. 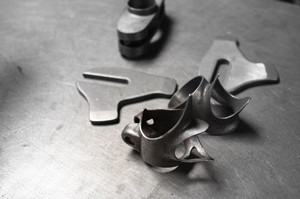 From the feasibility study through to personalising the bike, not forgetting quality control, nothing is left to chance. A peddler in every sense of the word, Philippe tracks down the rarest genuine, high-tech parts both in Belgium and further afield. A brand new GUEPARD collection will be unveiled soon. A GUEPARD bicycle is designed and put together by Jan, who combines sophistication, lightness and quality for every single creation. 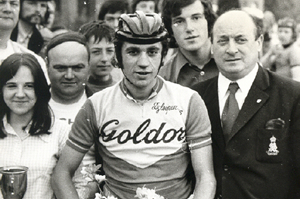 A former racing cyclist, Jan has won many trophies throughout his career.